With FDA approved Undecylenic acid. 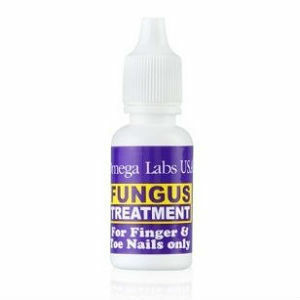 Omega labs fungicide is a strong and effective over the counter nail treatment. The vendor claims that it can restore nail health in as little as 12 weeks. Thoroughly wash and dry hands or feet. Apply to affected area 2-3 times a day and keep nails dry and exposed when possible. Nothing is said in the product source material about a guarantee or refunds. Also the product source also does not contain any customer reviews. This product may seem somewhat more expensive that other similar products but the base price works out to about $8.00 for a 15 ml product container which compares favorable with similar products. Despite this prospective purchasers would be wise to contact the vendor to ask about product reviews and product guarantees as well as the vendor’s product return policy. Jack Stevens	reviewed Omega Labs USA Fungus Treatment	on January 8th	 and gave it a rating of 3.